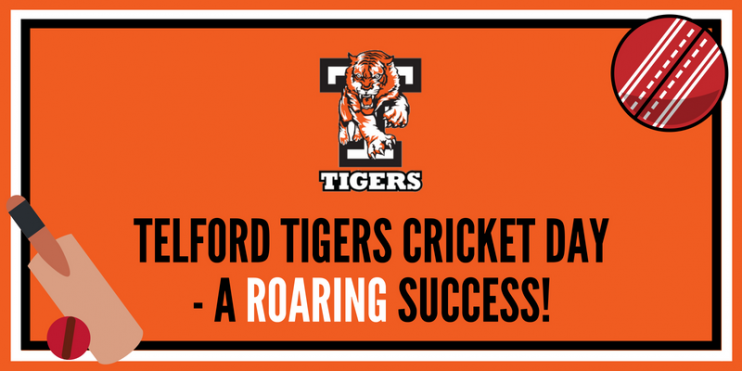 Roaring Success for Telford Tigers Cricket Day! 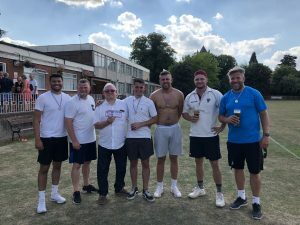 Last Sunday we saw our players, fans, sponsors, volunteers and the wider community come together and support us at our annual Telford Tigers cricket day. 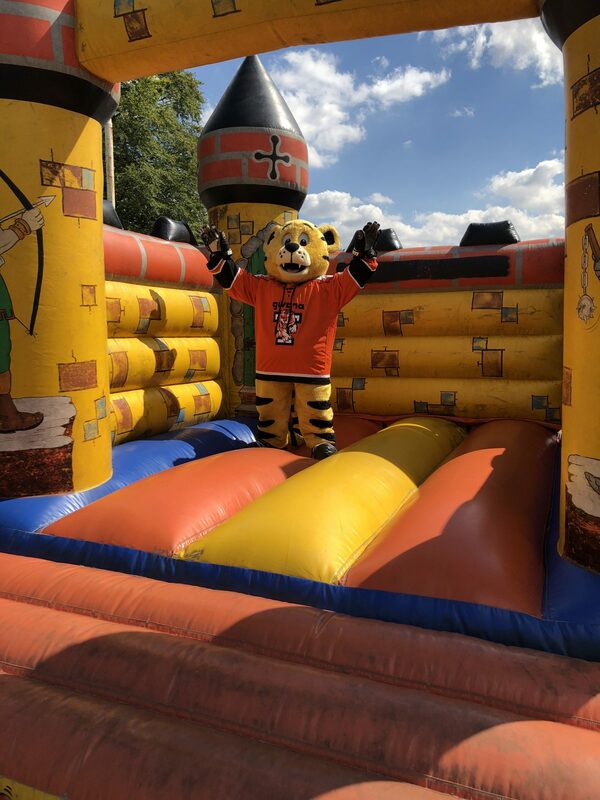 The event kick-started our programme of events for the Telford Tigers ROAR Club and it was of course, a roaring success! 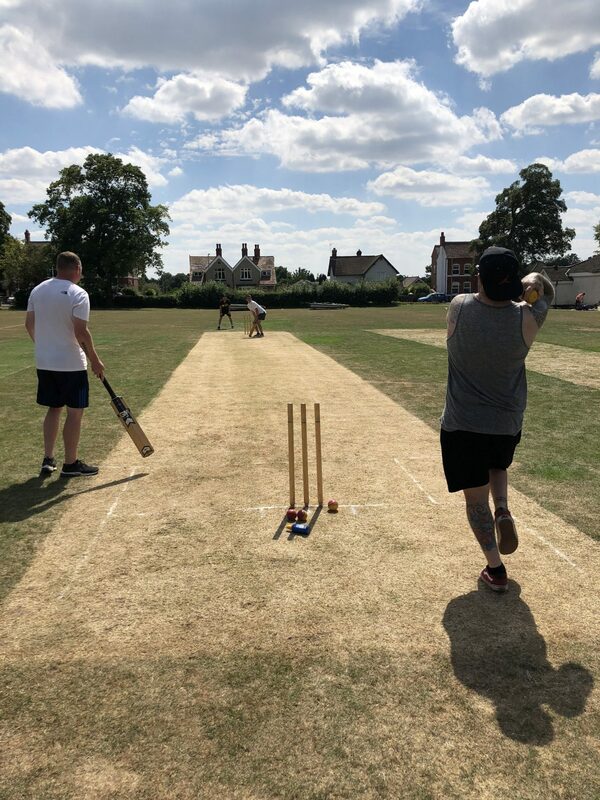 The day consisted of several matches which were played on two pitches kindly prepared by Paul Smart at St George’s Cricket Club. We had an array of teams who competed throughout the day including; players from both Telford Tigers and Telford Tigers Junior Club, sponsors, parents and fans. The Telford Tigers Juniors U15s and U13s players weren’t short of energy on the day, but it was the senior teams who pipped them to the post. After some competitive matches, including a battle between Tigers 1 and Tigers 2; it was The Six Lions from The Queens at Horton who were victorious! 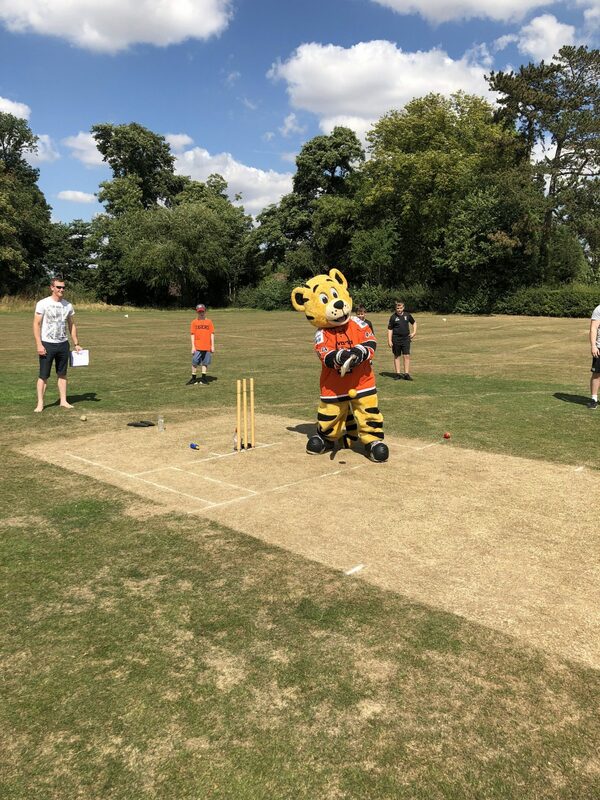 Not only did we have a great turn out for teams, but we the event was brilliantly supported by the Telford Tigers community who cheered for all the teams throughout the whole day with even Roary making an appearance! It was a fun filled day for everyone with a bouncy castle and stalls all run by our brilliant match night volunteers. 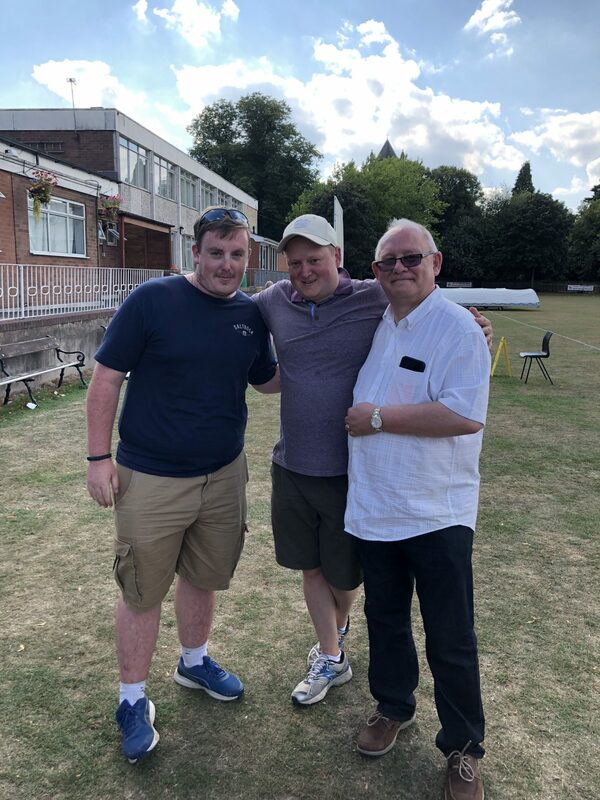 The club would like to thank everyone who volunteered and helped organise the day; especially Rich Middleton and Allan Myatt who umpired the matches and Gary from St George’s Cricket Club who kindly provided the club facilities. All in all, it was a brilliant start to the Telford Tigers ROAR Club event calendar. Keep your eyes peeled for more details on our upcoming ROAR Club events! Our next event will be our Race Night in October – details confirming the date and venue will be published very soon.